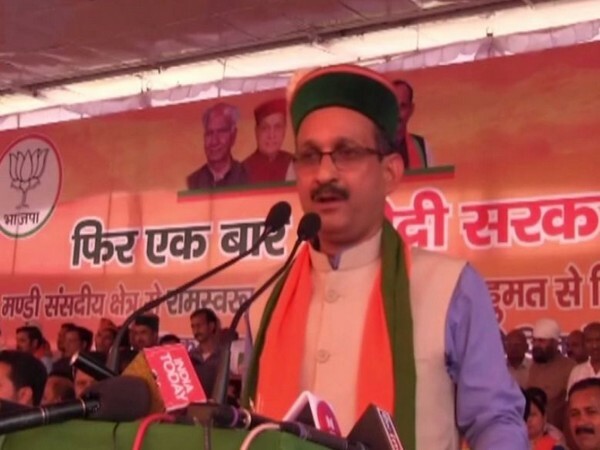 Greater Noida (Uttar Pradesh) [India], Apr 1 (ANI): The prime accused along with 16 others allegedly involved in the Dadri lynching case were present at Uttar Pradesh Chief Minister Yogi Adityanath's election rally in Bisara village here on Sunday. The accused were seen chanting ‘Yogi Yogi’ during the Chief Minister’s speech. While prime accused Vishal Rana was spotted in the front row during the rally, the rest 16 accused were seen moving around raising slogans like 'Bharat Mata ki Jai'. All 17 accused are on bail. On September 28, 2015, an unruly mob had attacked a Muslim family on suspicion of consuming and storing beef in Bisara village of Dadri region in Greater Noida. The mob, allegedly led by the accused, had beaten 50-year-old Mohammad Akhlaq to death. One of his sons was also thrashed brutally. The police in its charge sheet had accused Vishal of announcing that Akhlaq was in possession of beef through loudspeaker of a village temple.